St Mary's Parish Church is a testimony to the faith that has animated this village for centuries, and an historic document written in brick and stone. Each generation has left its mark. It bears the scars of war, and wears the garlands of worldly power. 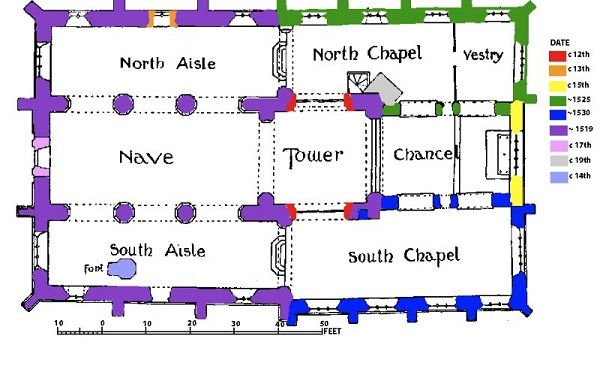 There has been a church in this place since Saxon times, but the earliest fragments of the existing building are Norman. The majority of the structure dates from the sixteenth century, but was extensively repaired after the Civil War when it was severely damaged by Cromwell's Parliamentary forces as they beseiged Basing House. It is a Grade 1 listed building. The most complete online account of the history and architecture of St Mary's that we know of was written by David Nash Ford, a noted local historian. The University of London also hosts a thorough history of Old Basing, including an extensive history of St Marys, with material not covered in Nash-Ford's account. Visitors are always welcome at St Mary's.